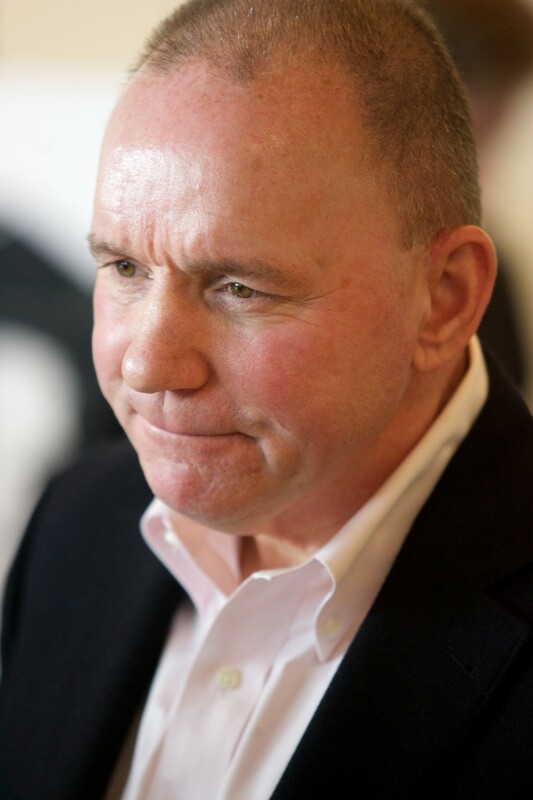 PORTLAND, Maine — Brian Petrovek, the managing owner and CEO of the Portland Pirates for the last 14 seasons, resigned Monday, Pirates managing partner and CEO Ron Cain and team governor Lyman Bullard announced in a news release. The move follows a season in which the American Hockey League affiliate of the NHL’s Phoenix Coyotes had to play its home games in Lewiston instead of Portland because of a lease dispute with the Cumberland County Civic Center, which was settled in February. The team went on to end the season with an 11-game winless streak and finished last in the league, a first in the franchise’s 20-year history. Petrovek oversaw the short- and long-term needs of the business, represented the franchise as an alternate governor at the league level, and participated regularly as a member of league committees. He took a lead role in developing the Pirates’ winning bids for the 2003 Dodge AHL All-Star Classic and the 2010 Time Warner Cable AHL All-Star Classic, joining Rochester, Hershey and Providence as the only cities to host more than one AHL All-Star event in the league’s history, according to the release. Petrovek added that the team and business is now well situated to turn the corner and that he was honored to have played a part in that process. Cain said that Petrovek is at the top of his game and that the Pirates’ loss will be another’s gain. “What Brian and his family have contributed to the business over the past fourteen years, from hosting two AHL All Star Classics, securing successful relationships with NHL affiliates during times when the team’s future was uncertain, to his tireless efforts during the Civic Center’s successful bond renovation campaign, let alone all the work he and his wife have done locally serving on a myriad of civic, community and charitable boards, has been second to none and will be missed,” Cain said in the release. In Portland, Petrovek served as board chairman of the United Way of Greater Portland (2007-2009), on the City Manager’s Business Advisory Council, and was a MaineHealth and Gorham Savings Bank corporator. In 2012, Petrovek served on the city of Portland’s Task Force on the Homeless and the Portland School Committee’s Transition Committee for the new superintendent of schools. Petrovek was inducted into the Junior Achievement of Maine Business Hall of Fame in 2008, an honor given to the state’s most distinguished businessmen and women for their outstanding contributions to free enterprise and the promise of a better, stronger society.